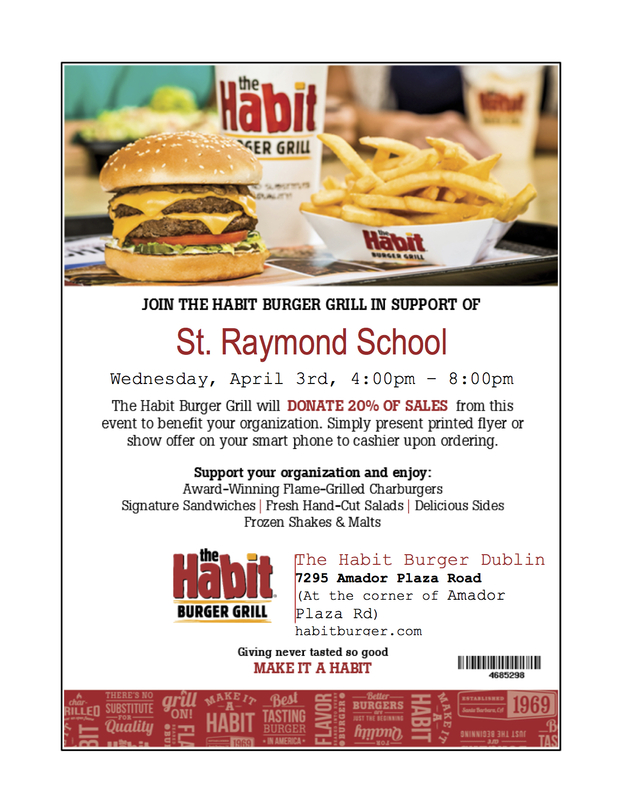 Please join us at The Habit in Dublin located at 7295 Amador Plaza Road on Wednesday, April 3rd between 4:00 pm and 8:00 pm. Please present the flyer when you checkout to ensure that St. Raymond will receive 20% of your purchase! This is an easy way to raise money for the enrichment programs that PTG provides!! See you there!